This long IDE cable is used for connecting a 2.5" hard disk to the 44-pin IDE interface. The hard drive cable is 30cm in length (approx 12 inches) so it is useful for use within a tower case. Features 2x 44 pin connectors either end of the ribbon cable. 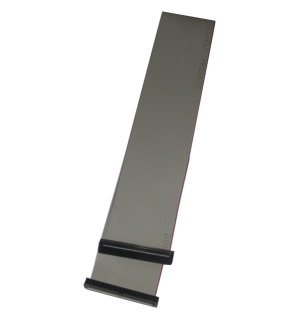 We will make any IDE ribbon cable to your requirements. Contact us for a quote.